I am still here doing this, which surprises no one more than me. Thanks for stopping by and proving that blogs are still a THING. These are almost always very hard. I am not so very decisive and some topics matter too much or perhaps too little for me to make the definitive choice. What I do is pick the first one that comes to me, and so far that has worked. Enough ado, let us get to it already! I have only seen it once, and it was while I was recovering from something, but this movie really touched me. 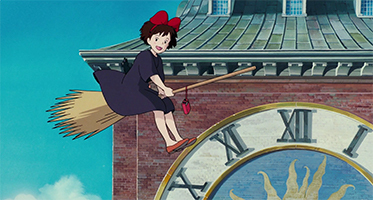 It's about a girl coming into her power and learning to rely on her own magic to make her way in the world. 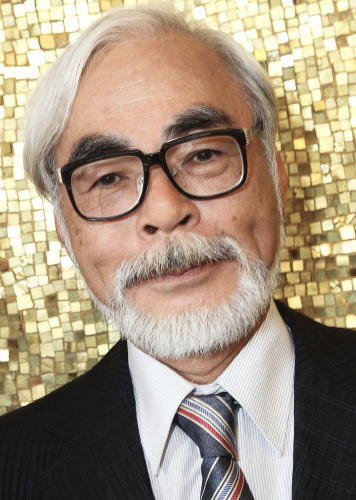 Also Hayao Miyazaki is a genius and I love all of his films that I've seen. 2. Favorite Love Story: Okay, wow. I am torn all over the place for this one. I want to half put down some kind of anti-love story and half some real, touching one. I am generally more moved by LOVE than I am by mushy, fused, icky romantic love between two people that is ultimately unsustainable. Bear in mind I am not bitter, despite how this sounds. So, I turn to music. Girlfriend in a Coma? Perhaps not... I got it! John Lennon wrote fabulous love songs all over the place. So, here it is: In My Life. This is a beautiful song (in my top five all time favorite Beatle songs) that feels like a meditation on his past and an expanding sense of love in his present and future. I have always felt that the people and places I have ever loved I still love. The people and places I liked I still like. Nothing changed. This song echoes that warm feeling for me and I maintain that it is quite a Love Story indeed. The song is great too. I just read that the solo isn't a harpsichord, it's a sped-up piano. How cool! Anyway, enjoy this weird weird youtube video of In My Life if you'd like and have a great week, Friday Friends!